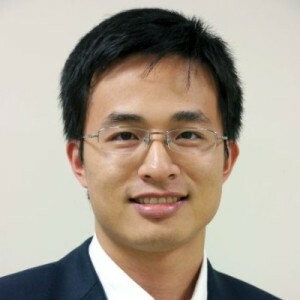 Dr. Xu Chen joined UConn in 2014. He received his M.S. and Ph.D. degrees in Mechanical Engineering from UC Berkeley in 2010 and 2013, respectively, and his B.S. degree with honors from Tsinghua University in 2008. Dr. Chen’s research interests are theories and applications of dynamic systems, controls, and information fusion, with applications to additive and advanced manufacturing, robotics, precision mechatronics, and human-machine interactions. He has worked closely with the precision control and information storage industries, and helped Western Digital Corporation to develop multiple new servo designs for industrial mass production. Dr. Chen is a recipient of the NSF CAREER award, the Young Investigator Award in 2014 ISCIE / ASME International Symposium on Flexible Automation, the 2012 Chinese Government Award for Outstanding Students Abroad, the 2012 UC Berkeley Outstanding Graduate Student Instructor, Frank and Margaret Lucas Fellowship at UC Berkeley, and the 2008 Outstanding Graduate Award from Tsinghua University.